Moscow Mules could be poisoning drinkers. Or, to be more exact, the copper cup that the drinks are traditionally served in might be. 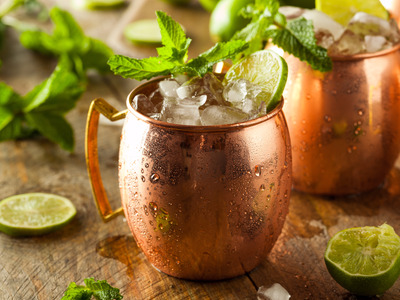 Iowa’s Alcoholic Beverages Division issued an advisory bulletin warning bars and restaurants against serving Moscow Mules and other beverages in copper mugs. Iowa follows the Food and Drug Administration’s code that prohibits copper from coming into direct contact with acidic foods with a pH below 6.0. That includes vinegar, wine, and Moscow Mules. Over time, copper exposure can damage liver and kidneys. In instances of acute copper poisoning, someone who has consumed copper might experience nausea, vomiting, abdominal pain, and liver failure.